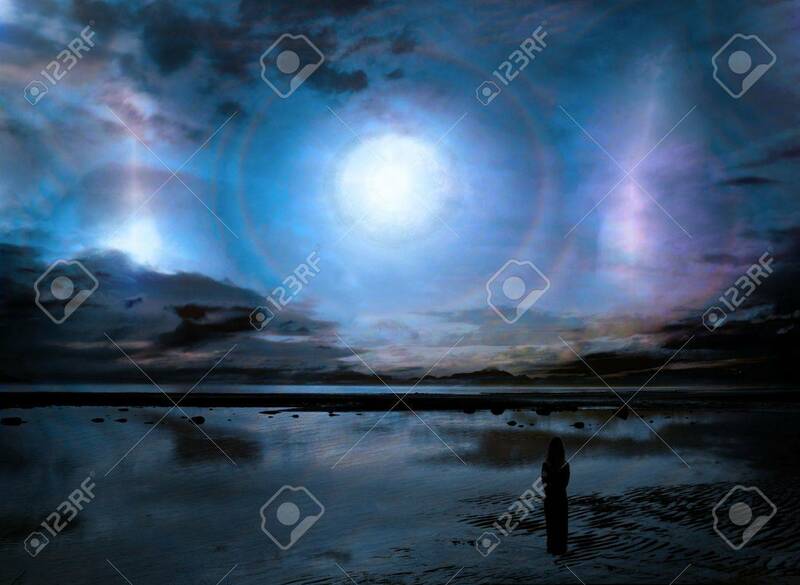 Surreal Fantasy Scene With A Strange Light Phenomenon In The.. Stock Photo, Picture And Royalty Free Image. Image 13447012. Stock Photo - Surreal fantasy scene with a strange light phenomenon in the sky over a beach landscape and a woman in silhouette looking out at it. Surreal fantasy scene with a strange light phenomenon in the sky over a beach landscape and a woman in silhouette looking out at it.